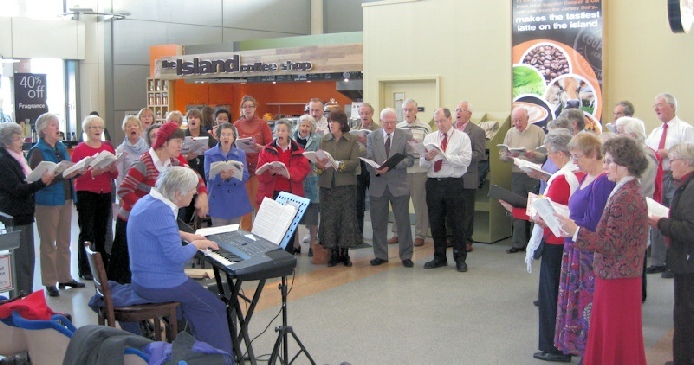 The Choir entertained passengers and past staff at the airport for an hour on the Friday morning with people being invited to donate to a collection for Teenage Cancer Trust. We even received a round of applause from the check-in desks! 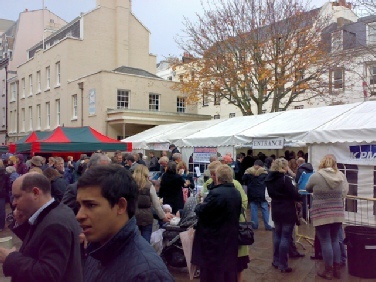 The entrance to the soup tent where 30 or more different soups were available for a donation. 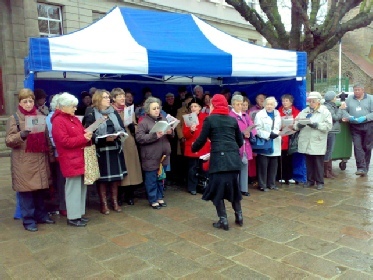 The choir kept dry whilst adding musically to the occasion. The Band of the Island of Jersey played before and during the service. 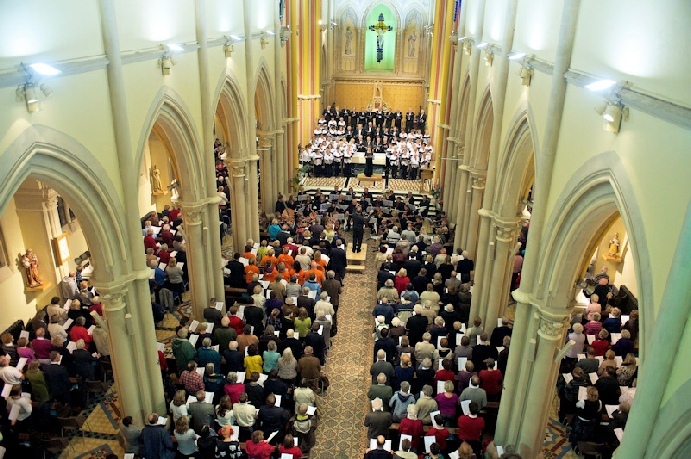 Wednesday 14th December was the date set for our Festival of Carols in 2011 which took place at St. Thomas' Roman Catholic Church. 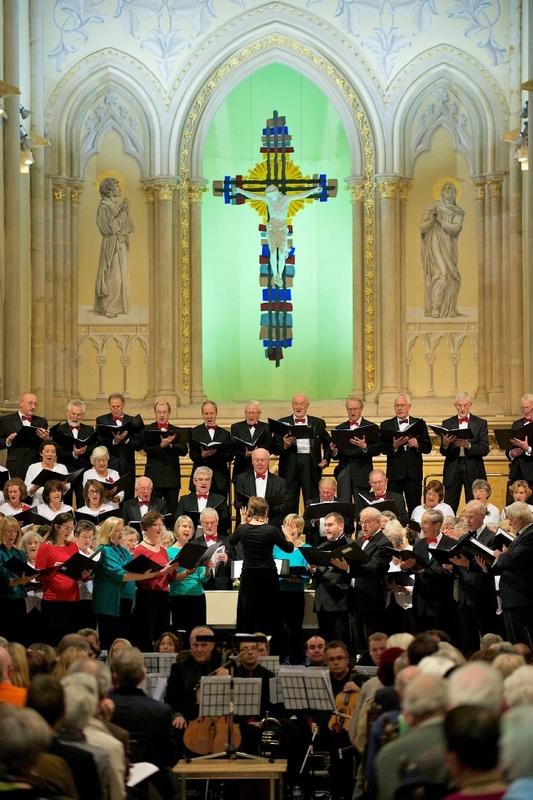 The concert raised the grand a considerable sum for the Jersey charity "Brighter Futures" which is based at The Bridge in St. Helier.